Bassist Stephan Crump formed the Rosetta Trio with guitarists Liberty Ellman and Jamie Fox to play music he composed in response to September 11. 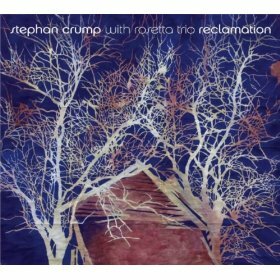 Now, with their second album, Reclamation (Sunnyside, 2010), the trio continues to explore an exposed and intimate sonic landscape. In this interview, Crump talks about the origins of the band; the trio’s particular sonic palette; and the benefits of playing without drums. Learn more at www.stephancrump.com. Previous PostPrevious The Jazz Session hits 600,000 downloads!